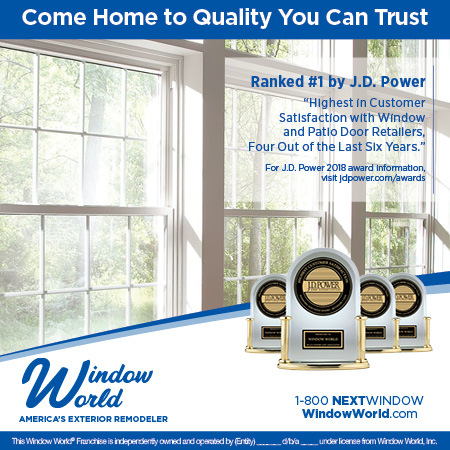 In early 2019, we heard the good news that our long-time client Window World received the J.D. Power award for the fourth time in six years. This award is the industry stamp of approval for customer satisfaction across four categories. We then received word that Window World Inc. wanted to enlist the help of R&A in designing their new creative to help promote the award both corporately and in local markets across the country. Having completed two similar projects in 2016 and 2017, we knew we were up to the task. We produced a number of concepts, which we’ve shared below. 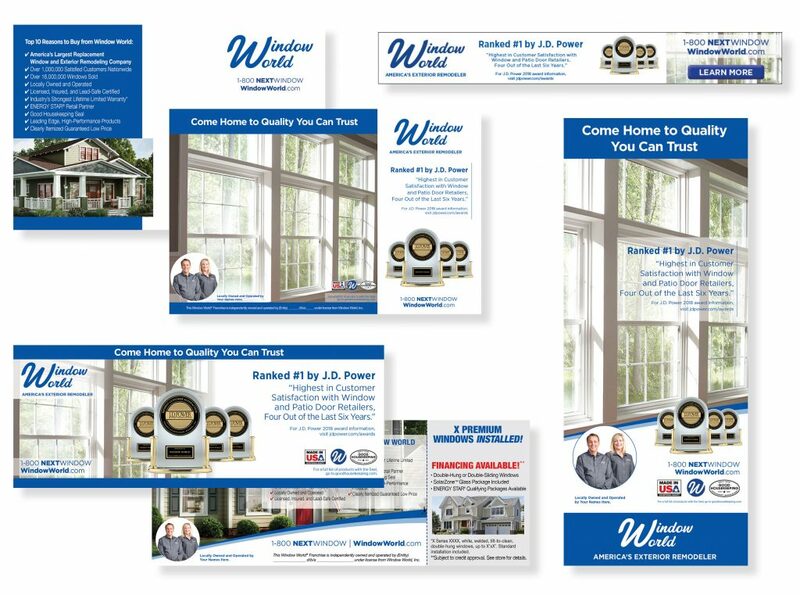 Window World Inc. ultimately chose the concept, “Come Home to Quality You Can Trust”, which suits the family-oriented brand perfectly. Congratulations to our client on this incredible accomplishment. We’re always honored to take part in the work you are doing: Improving Homes. Changing Lives.